« Governor Inslee Proclaims May Bike Month! For the eighth year in a row, Washington state ranks as the most bicycle friendly state in the nation. The ranking – based on a comprehensive survey of 5 categories, including Legislation and Enforcement, Policies and Programs, Infrastructure and Funding, Education and Encouragement, Evaluation and Planning – shows that Washington’s score remained static over the past year. Today, the first day of Bike to Work Week, the League of American Bicyclists has released its 2015 Bicycle Friendly State ranking. Washington state again ranks #1. Bicycle safety for Washington’s children. Since 2010 over 56,000 children in more than 40 school districts statewide can bicycle safer because of Washington Bikes’ Safe Routes to School education program. Establishing the state’s first U.S. Bicycle Route from Anacortes to Newport. In May 2014 US Bicycle Route 10 (the State Route 20 corridor) was established. 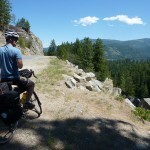 It’s the first Bicycle Route to the West Coast and it connects travelers and tourists from around the nation and world to Washington state. At our November Gala & Auction, WSDOT Secretary Lynn Peterson announced the establishment of a Scenic Bikeway Program to grow bicycle routes across the state. Governor’s Task Force on Outdoor Recreation and Parks. Washington Bikes Executive Director Barb Chamberlain served as co-chair to Governor Inslee’s Task Force to grow outdoor recreation in Washington state. One of the exciting outcomes of the work included a study showing bicycle riders spend $3.1 billion statewide. Help keep Washington State #1 by donating to Washington Bikes today! Massachusetts jumped 6 spots to #4 in the ranking, thanks in part to a new transportation bond, which set aside $377 million over the next five years for biking and walking projects. A proposal currently being discussed in the Washington State Legislature, on the other hand, makes a biking and walking investment of roughly $230 million over the next 16 years – far below the investment levels made by Massachusetts in 2014. Utah made the jump from #8 to #5 this year. The state adopted a Bicycle Master Plan in 2014, setting inter-agency goals for inclusion and support of biking and walking infrastructure in transportation projects. The Washington State Bicycle and Pedestrian Plan developed by the Washington State Department of Transportation (WSDOT) is now over seven years old and less than 50% of the plan has been implemented. Would you feel comfortable letting your 8-year-old going to school on his or her own? Would you feel comfortable grabbing groceries on a bike in any town in Washington state? Would you feel comfortable riding your bike from Tacoma to Seattle or from Spokane to Airway Heights? We suspect the answer to all of those questions is no. More needs to be done to make those answers a resounding yes. 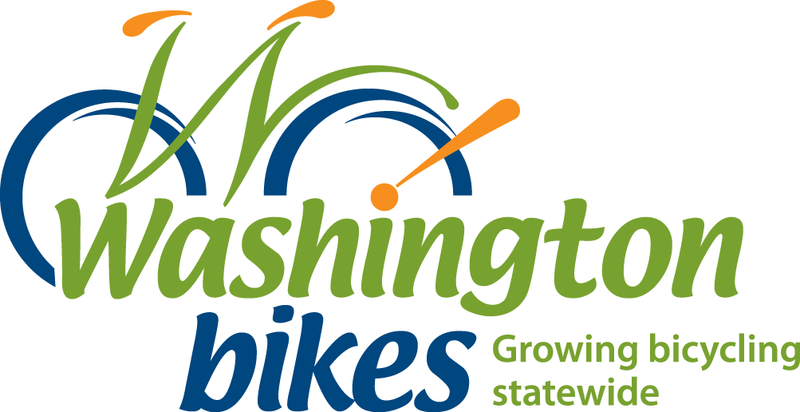 Despite these challenges, Washington Bikes is encouraged by several initiatives and efforts moving forward in 2015 to grow bicycling statewide. Anacortes Mayor Laurie Gere and WSDOT Sec. 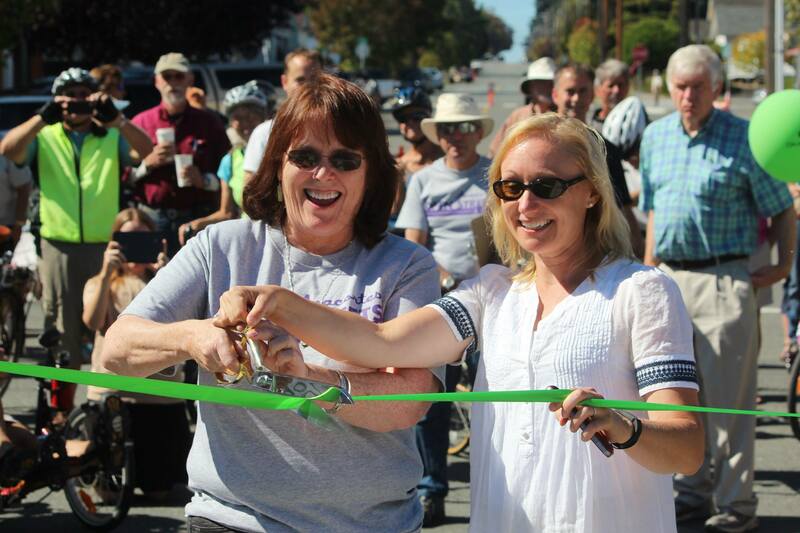 Lynn Peterson cut the ribbon in Anacortes for US Bike Route 10. Initiatives include the first state bike summit, presented by Washington Bikes in March of this year; new data collection efforts to understand bicycle safety so more can be done to improve it; and continued engagement with state agencies to become more multimodal. These new initiatives did not show up in the latest Bike Friendly State survey and Washington Bikes is optimistic that more advances in 2015 will ensure that Washington state can improve its standing and retain the number #1 ranking in 2016. Grow staff capacity for bicycling and update the bike/ped plan at WSDOT. The Washington State Department of Transportation (WSDOT) should build upon its past successes by increasing staff capacity for planning, engineering, and implementation of solutions that make bicycling and walking safer and more convenient. Additionally, so much has changed in bike/ped planning since the last bicycle and pedestrian plan was released in 2008. Then, sharrows were still seen as relatively cutting edge. We’re past that and without so much as an update to the plan by WSDOT since then, much needs to change before the multimodal planning at WSDOT begins to address bicycling in earnest. Grow bicycle and pedestrian safety focus at the state level. Outside of the hugely successful Safe Routes to School programs, safety education initiatives for bicycling at the state level are conspicuously absent. Deeper engagement of the Cooper Jones Safety Committee at the Washington Traffic Safety Commission and increased focus on data collection could help. Grow investments at the state level. This factor is one that everyone can work on, starting today: write your legislators. Funding and infrastructure is our lowest score and it’s the place we can make immediate improvements in the transportation funding package currently being negotiated by the Washington state legislature. We’re #1! 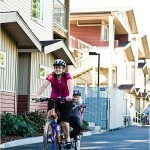 @bikeleague ranks WA #1 Bicycle Friendly State in US. Take action to tell your legislators you want them to invest in bicycling and walking. achieve passage and enforcement of bicycle-friendly laws that make it safe and comfortable for people of all ages to ride. Washington Bikes also promotes bike travel and tourism to support local economies and increase their investment in becoming more bike-friendly. At the same time, with bike travel ideas from short day trips to cross-state tours we inspire more people to get out and ride to enjoy Washington’s great outdoors. 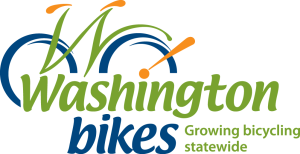 Founded in 1987, Washington Bikes is the statewide nonprofit organization advocating for bicyclists and a more bike-friendly Washington. The League of American Bicyclists is leading the movement to create a Bicycle Friendly America for everyone. As leaders, our commitment to listen and learn, define standards and share best practices to engage diverse communities and build a powerful unified voice for change. For more information or to support the League, visit www.bikeleague.org. This article was posted in Advocacy, Bike to Work, Economic Impact, Funding/Policy, Infrastructure, Issues & Advocacy, Legislature, News, Transportation, USBRS, WSDOT. Bookmark the permalink. Follow comments with the RSS feed for this post. Both comments and trackbacks are closed.